The City of Revere is partnering with Revere Public Schools, Revere CARES, MGH Revere Health Center, Millions of Muscles Fitness, Revere on the Move and other community stakeholders to organize “Revere Runs,” a 5K Run & Walk for Fitness. The race will be the grand finale of the 2nd Annual Citywide Fitness Challenge. All residents are invited to participate. The race will kick-off at 9:00 A.M. on Saturday, June 8th at the West Revere School Complex, 107 Newhall Street. Participants are encouraged to register online. Same day registrations will begin at 7:30 A.M. and close at 8:30 A.M. Registration is $15 dollars and a portion of the fees will be donated to The One Fund. Prizes will be awarded for top male and female winners overall as well as top male and female winners in each age division. The first 300 runners and walkers who register will also receive a t-shirt! Extra t-shirts will also be on sale during the day for a cost of $15. 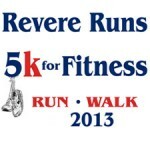 "The Revere Runs 5K Race and Walk is a great opportunity for the participants of the City Wide Fitness Challenge to test their new strengths and abilities, and for the residents of all ages in our community to engage in an activity that promotes health and wellness,” explained Julie DeMauro Doucette Revere’s Safe Routes to Schools Coordinator and Co-Chair of the Race Committee. During the day of the race there will be fun activities for children along with a Health and Business Fair at the Whelan School Complex. Businesses and health organizations from the community will be showcasing the many resources available to the people of the city. 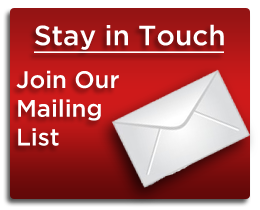 If you would like to participate in the fair, please contact Jodi Reath at millionsofmuscles@gmail.com. If you would like to get involved or learn more about “Revere Runs” email acosta02151@comcast.net or Julie_demauro@hotmail.com. You can also call the Mayor’s office for more information at 781-286-8111. Volunteers will be needed during the day of the race so if you would like to get involved please reach out!